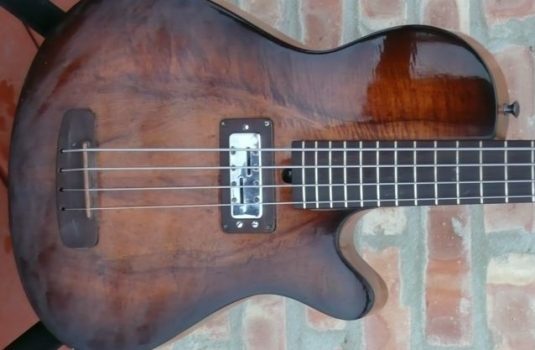 I may regret this , but from my vault emerges this top-of-the-line Marleaux Signature 6. 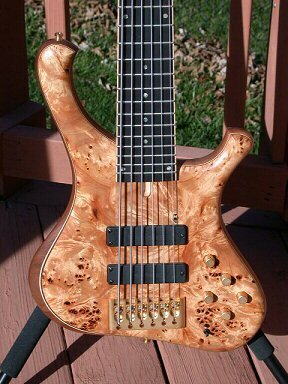 This is an incredible bass from Master Luthiers Tilman Anton and Gerald Marleaux. Walnut body, with an amazing Burl Black Poplar top. 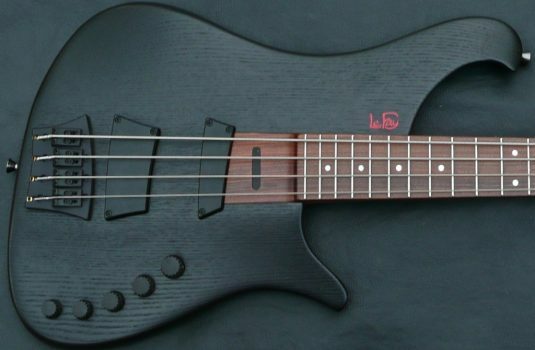 The 34″ scale neck is a five piece unit, primarily Maple, Ebony fretboard with Flame Maple binding. 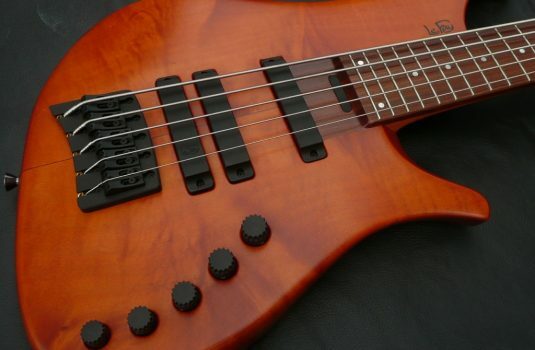 Bartolini Soapbars, and Marleaux’s proprietary programmable 3 band EQ – a very special preamp that allows you to select one of three different frequencies per band, making for a very versatile array of tones. 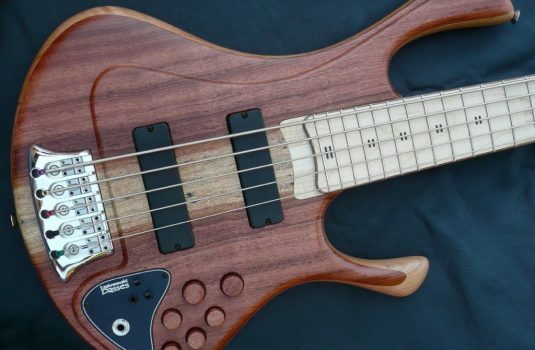 Alas, I fear I am not a 6 string player – if YOU are , you must check out this bass!